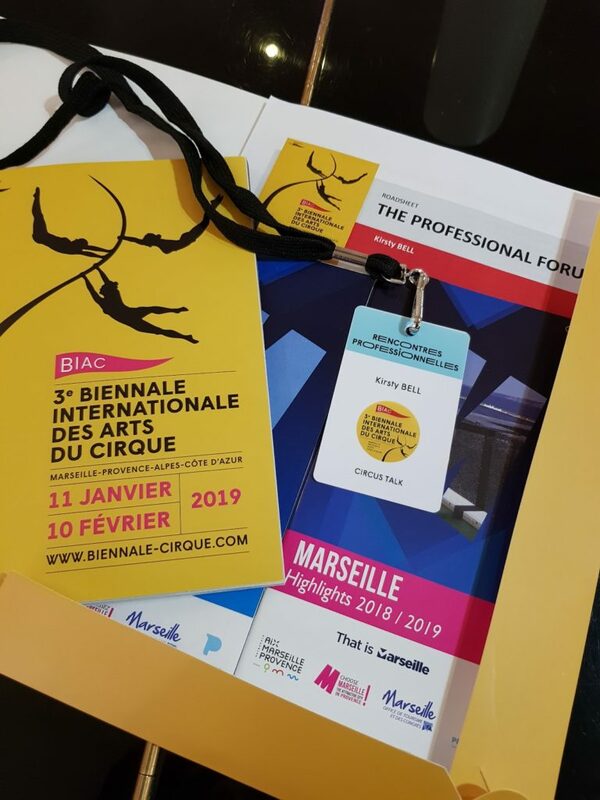 The Biennale Internationale des Arts du Cirque (BIAC) organised by Archaos, Pôle National Cirque in Marseille takes place every two years and is a massive celebration of contemporary circus. 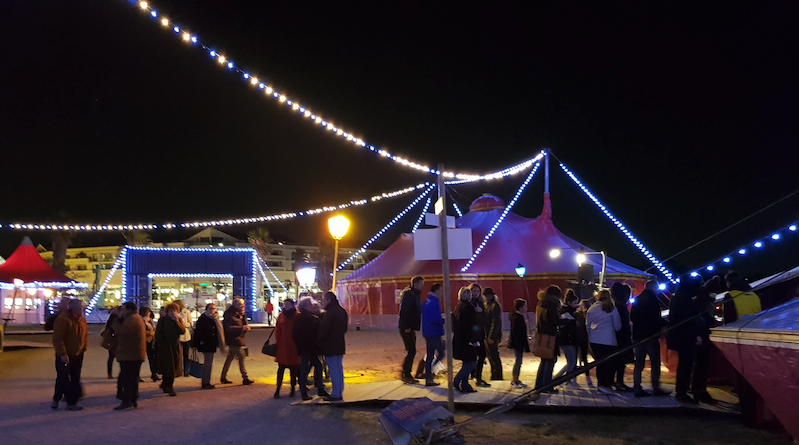 Spanning the whole Provence-Alpes-Côte d’Azur Region in the south of France and lasting a whole month, this Festival is a must on any circus lover’s must-visit list! 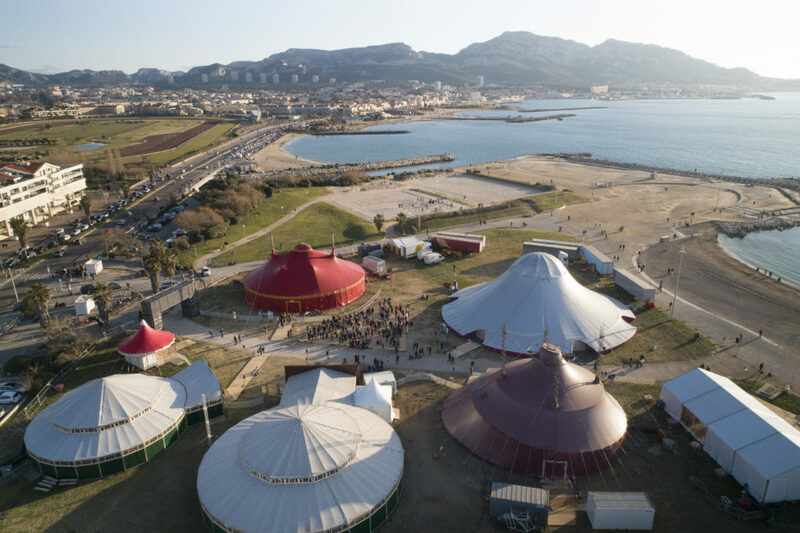 The third edition has just ended and this year the Festival welcomed 114,300 members of the public to 62 cultural venues in Marseille and the surrounding towns that took part in hosting the Festival’s 66 shows. It’s as though the world of contemporary circus was brought to one place for us to revel in and discover all that this art form has to offer! 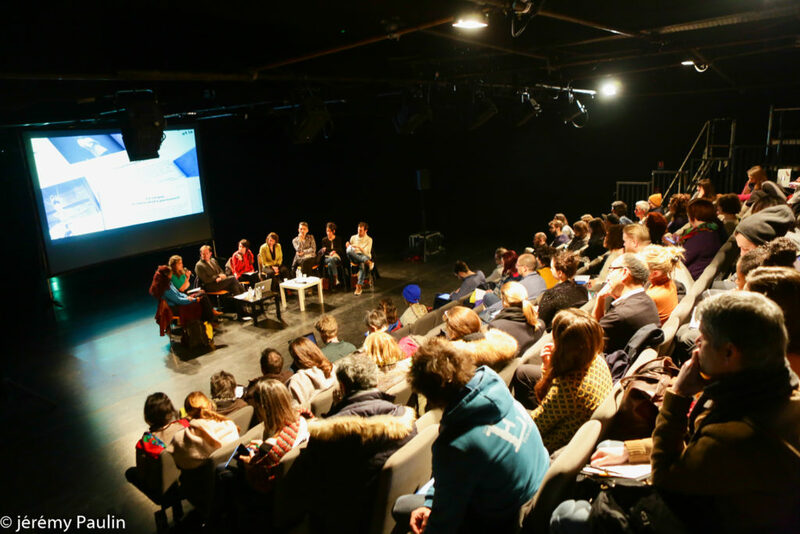 This year 650 circus and cultural professionals came together from all over the world to participate in the professional forum which lasted for a week at the end of January. The program consisted of round tables, guided visits of exhibitions, documentary films and of course visits to numerous different shows, all organised into itineraries that professionals could choose between according to their areas of interest. A rich exchange of ideas and opinions, this forum provides a meeting place and a platform for discussion between cultural professionals, helping them to learn from each other and as such driving forward the development of contemporary circus. There was something for everyone in the round tables; from innovative business models of circus festivals to discussing the challenges and objectives for women in circus, the program provided an insight into the various issues currently facing the contemporary circus sector around the world. Some of the discussions did have a tendency to be somewhat France-focused, such as the round table on financing systems for circus artistic creation during which the conversation centred around the very complicated, if generous, systems for receiving grants and subsidies for circus projects that have been put into place by the French government. Needless to say, the audience members who had not been lucky enough to experience French administrative procedures first-hand were a bit left behind during this particular dialogue. However, many of the other round table presentations provided very insightful information about actions that had already been put into place by the panel members. One example that springs to mind is the testimony from Chloé Béron of the Centre International des Arts en Mouvement (CIAM) in Aix-en-Provence who explained during the round table on Green Approach and Circular Economy: Examples from the Circus how large parts of the school’s space was constructed from buildings and materials that were salvaged from other companies and projects. The discussion on New Magic given by its authors and creators, including Etienne Saglio, Antoine Terrieux, Valentine Losseau and Raphaël Navarro among others, provided a fascinating insight into the creative process and motivation behind the development of this stunning new subsection of contemporary circus. Overall, the round tables provided valuable moments of exchange and reflection on issues relevant to the contemporary circus of today and tomorrow. Beyond the intellectual discussions, the Biennale also draws on visual arts to provide an in-depth exploration into the world of creativity, presenting the public and visiting professionals with an insider’s vision of what it means to create works of contemporary circus and performance. Three exhibitions were organised as part of the Biennale’s cultural offerings. 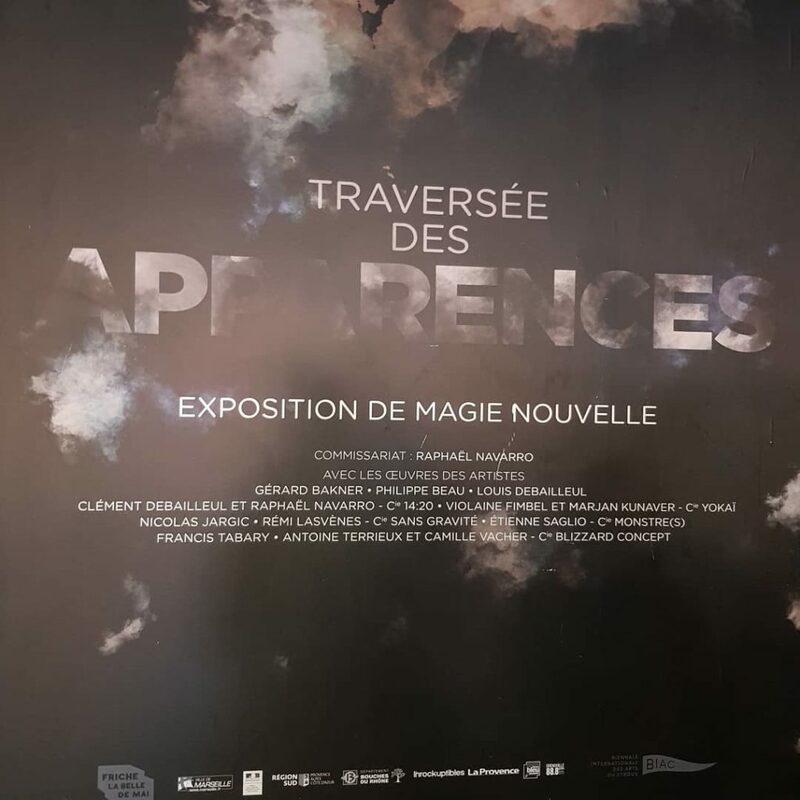 The first ever exhibition on the ‘Magie Nouvelle’ (New Magic) movement, curated by Raphaël Navarro, invited the visitor into the world of illusion and magic. It encouraged them to reconsider their preconceptions about traditional magic and to discover up-close the creations of this art form’s front-runners, as much engineers and inventors as magicians and performers. In providing a platform for an exhibition like this, the Biennale invites members of the public to engage in the developing art of Magie Nouvelle and provides much deserved visibility for its creators. 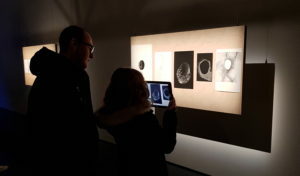 Another exceptional exhibition was held in the Cité du Livre in Aix-en-Provence. Adrien M & Claire B are a duo whose company is currently creating some of the most exceptional performances in the domain of physical performance mixed with digital technologies. The exhibition Mirages & Miracles is a showcase of their genius creations with interactive technology. 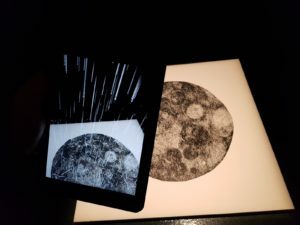 Each visitor walks around the exhibition space with a tablet, and watches with amazement as the drawings they see hung on the walls come to life and dance before their eyes when they hold their tablet up to them. The little rectangles of plastic, microchips and electricity transform and become a portal into a world of beauty and imagination which you can’t help but be enchanted by. Shows – a Circus Feast ! The wealth of shows on offer during the month-long festival is almost overwhelming. The Biennale Internationale des Arts du Cirque is an avid promoter of new works; 29 of the 66 shows that made up the program of this year’s festival were brand new creations that ventured their first presentation to real live audiences during the Biennale. 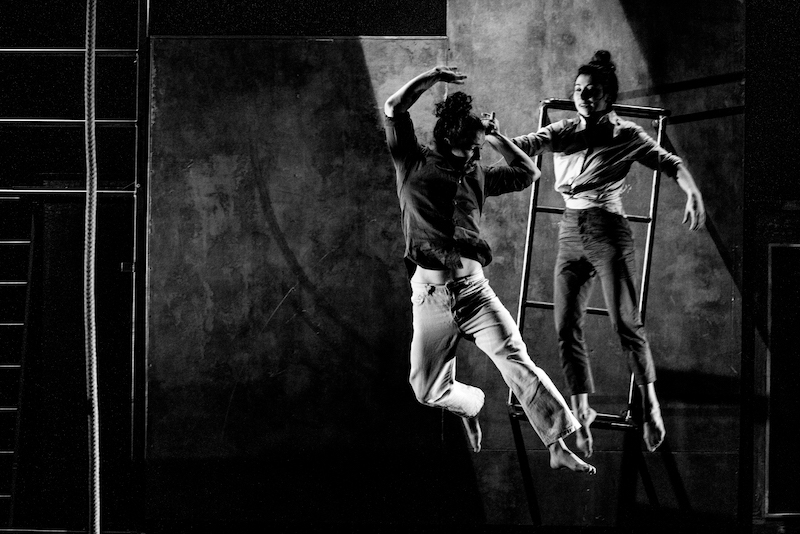 For up-and-coming companies, being given the opportunity to be a part of such a festival is truly invaluable and it is encouraging to see that the Biennale is using its platform to help the latest generations of circus performers get their start. 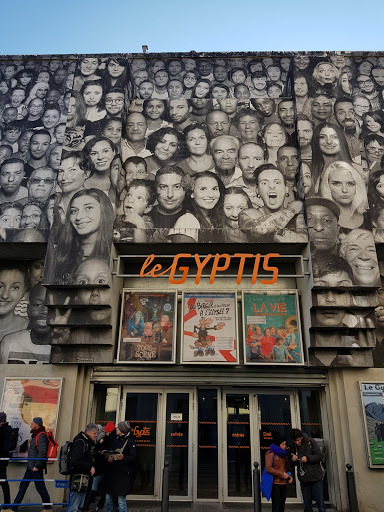 While French circus is obviously heavily represented, companies from 16 different countries made their way to the Biennale this year to showcase their work, providing an insight into the artistic expression of different countries and cultures. The truly special selling-point of this festival is not the wealth of shows on offer, nor the exceptionally well-organised professional circuit where hundreds of overly-chatty circus professionals are fed, watered and carted around the region on a strict schedule! The real value of this festival is in the care it takes to make sure that it is not just one venue in one city that benefits from the cultural offerings and visitors that the Biennale brings. More than 40 towns in the region play host to the visiting artists, with 62 cultural venues giving their stages to host contemporary circus performances. By programming the festival in such a way, venues reach new audiences and communities that may not usually be considered hubs of culture are presented with new cultural offerings. Therefore, the Biennale is not only a wonderful platform for the development and recognition of contemporary circus, it is also a tool for the development of culture throughout the whole region. Attended by professionals, students, school groups and members of the public from every demographic, the Biennale Internationale des Arts du Cirque is a wonderful celebration of contemporary circus. 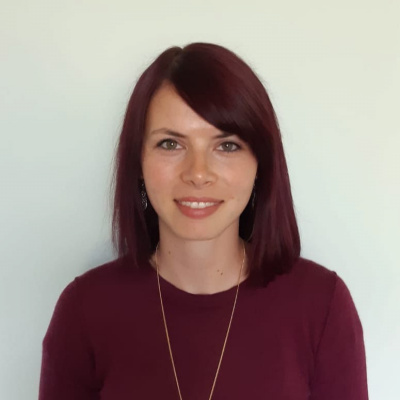 With 650 professionals coming together this year, it is also host to one of the biggest networking events in the world for those working in the circus industry. The best thing about the Biennale in my opinion though, is its authenticity, from the wonderfully friendly team who welcomes you, to the enchanting circus atmosphere in big top village; the Biennale captures the circus spirit and invites everyone to come and share it with them. The next edition will take place in 2021.